Sunday mornings are made for pancakes and my family is loving this delicious recipe for Apple Blueberry Pancakes. There’s nothing better that sitting down with my lovelies and sharing a delicious breakfast. Well, actually I am normally at the stove cooking these while my kiddos demand out-strips my ability to supply. But it’s that togetherness and family time that for me cooking and eating is all about. For as long as I can remember, I have always loved pancakes. One of the first foods I ever learnt to make independently was pancakes and as a kid I subjected my family to many a rubbery pancake…I do like to think I have improved drastically since then! 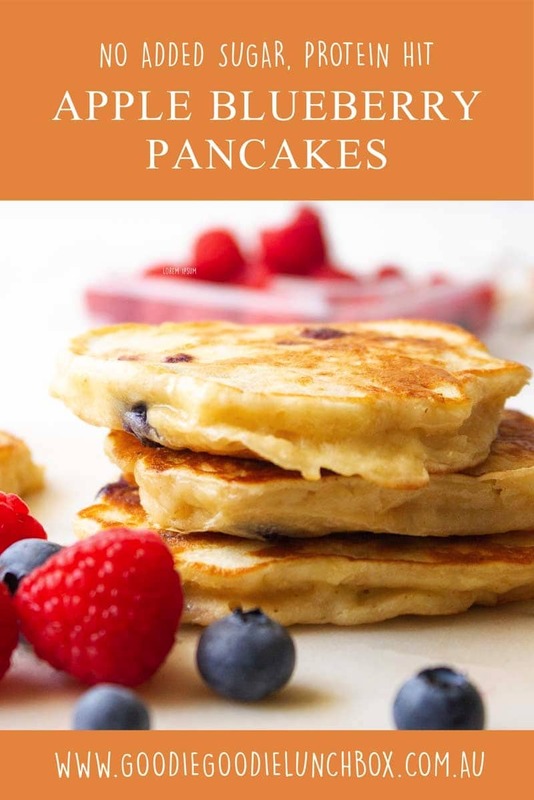 I found a great recipe a couple of years ago and it has been my go to since, but when I saw a recipe from My Diary of Us (thank you for the inspiration Leigh Ann x) using greek yogurt I knew I needed to develop a pancake recipe with this ingredient too. And I am so glad I did! I love how these are substantial but still light and the fact that there is no refined sugar means that they are a great breakfast, lunch or snacks…or even brinner?! Are you looking for other recipes for breakfast with no added sugar? Why not try my Healthy Banana Bread. Delicious protein packed Apple Blueberry Pancakes are fantastic for breakfast, snacks or in the lunchbox. Serve with fruit and enjoy! These pancakes need to be cooked over a reasonably low heat to ensure that they cook through without the outsides over cooking. I freeze batches or leftovers in freezer bags to make a quick breakfast mid-week or for lunchboxes. Use within two months if freezing. So while I think pancakes are an any-time-of-the-day food, if we are having pancakes for breakfast I tend to make these myself without ‘helping hands’ so the little circles of deliciousness can get out to the table as fast as possible. But when we are not under time constraints the kids love helping me and this Apple Blueberry Pancakes is a perfect recipe for getting your kids in the kitchen. The older kids can measure ingredients, grate the apple and chop the blueberries for you and younger kids can help our ingredients into the bowl and stir the mixture. 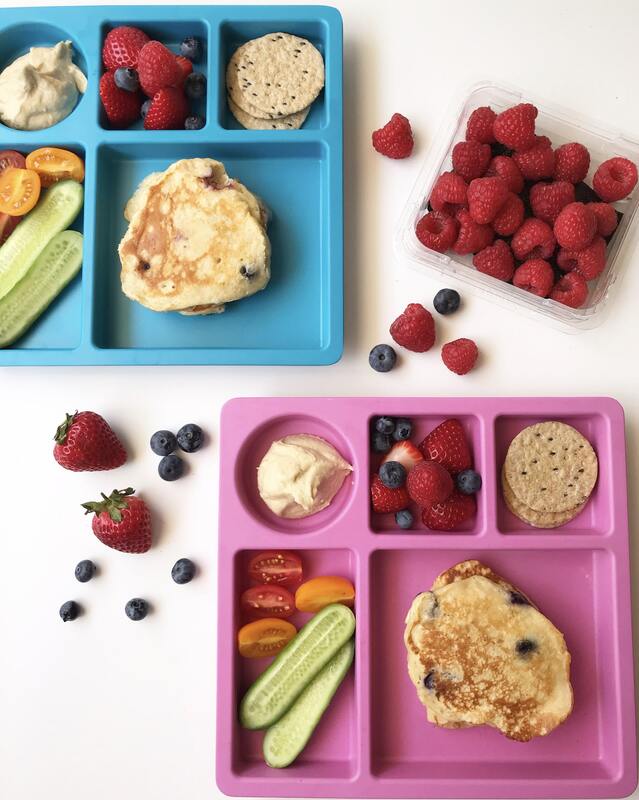 Or if they are capable cooks – get your kids to make you breakfast in bed…that is the dream! 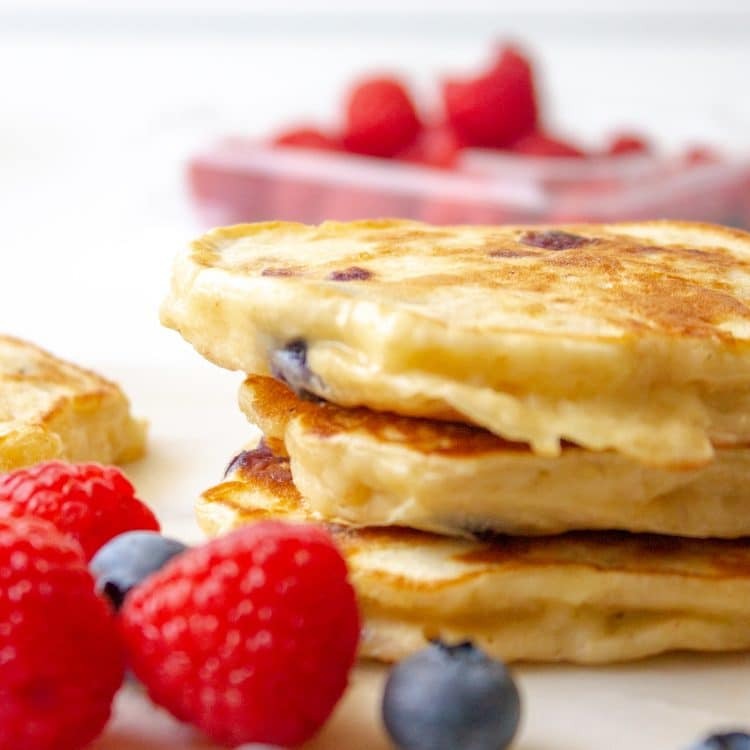 My older son does not like blueberries (actually he uses the word hate but I think that is an exaggeration) so sometimes I make this recipe without the blueberries and just make them as Apple Pancakes which are nice too but my preference is with the blueberries in them. Do you think your kids would love these? 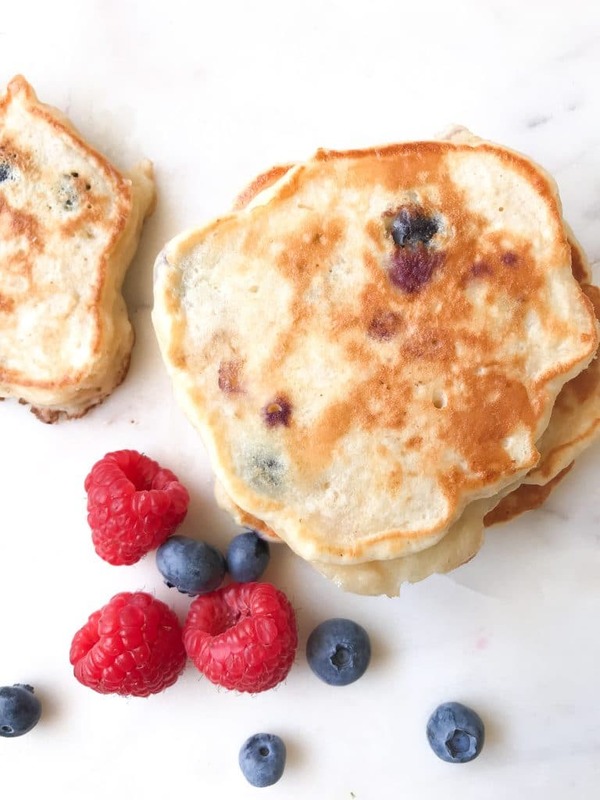 Why not get your kids in the kitchen and enjoy making and eating these delicious and my family is loving this delicious recipe for Apple Blueberry Pancakes together! Before you tuck in though, take a quick pic and share them to my Facebook wall, or post them to Instagram and tag me in your pic. I would love to see them!